A mix of luxury and efficiency has become the trend in the automobile industry, and buyers now add carbon footprints, more miles per gallon, etc, thus there are measures to increase fuel efficiency in form of high-tech injections systems, zillion-speed transmissions, etc. Below are the top ten most fuel-efficient luxury SUVs reportedly tested by EPA at Fueleconomu.gov. 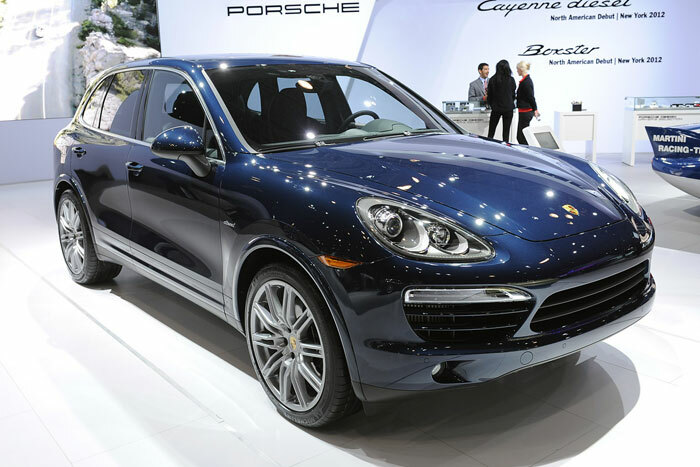 2013 Porsche Cayenne Hybrid is reputed for sporty handling for hybrid SUV, quick acceleration plus luxurious interior, though its brake has a strange feeling. Porsche is mated with a 3.0-liter supercharged V6 engine, electric motor, and eight-speed automatic transmission. Its EPA estimate is 20/24 mpg city/highway. Some of its standard features include a 10-speaker stereo, 7-inch touch-screen infotainment display and auxiliary audio jack, etc. 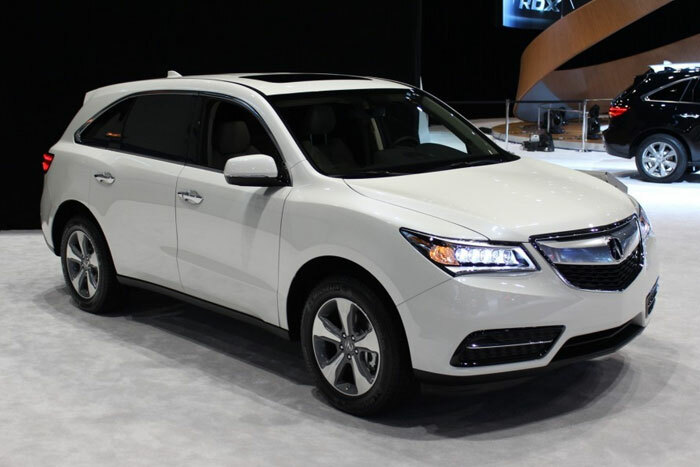 2014 Acura MDX captures the hearts of enthusiasts with its refined ride, handling, and good fuel economy, though lackluster brakes. It is powered by a V6 engine through a six-speed automatic transmission. It EPA estimate stands at 20/28 mpg city/highway. 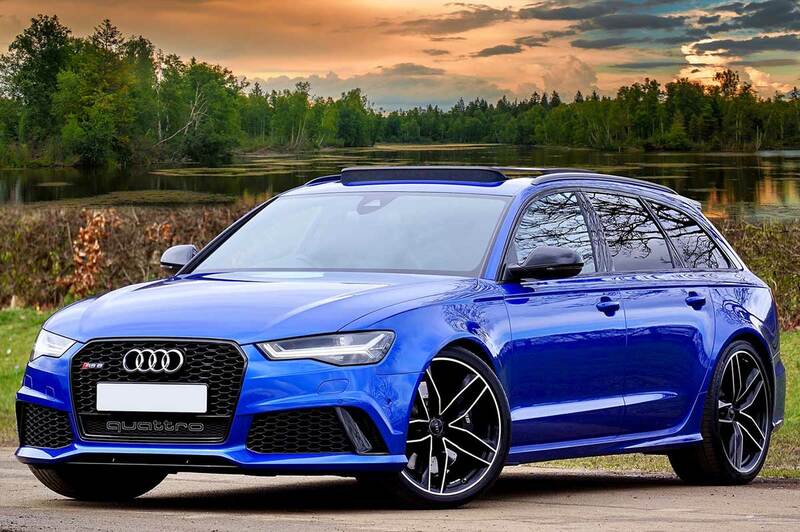 It’s available in one trim level, well-assembled with premium materials; seats seven with three rows of seats and has front-wheel drive (all-wheel drive is optional). Some of its standard features include tri-zone automatic climate control, an eight-speaker stereo with satellite radio and USB/auxiliary ports, etc. 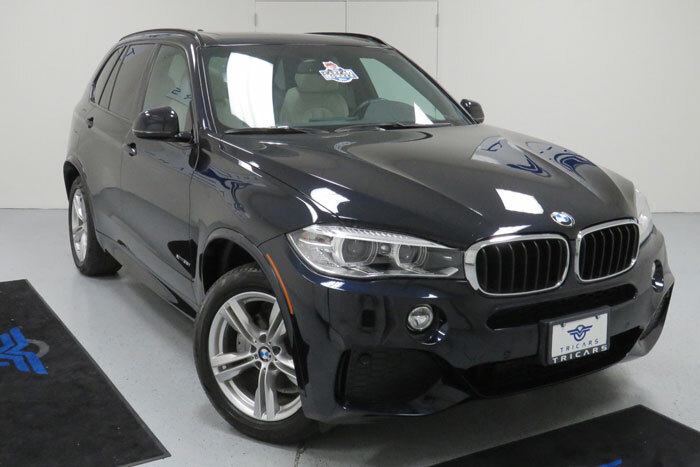 2014 BMW X5 is well-known for its strong engine choices, excellent on-road handling, elegant interior styling, but it has mediocre cargo space. Its sDrive35i comes standard with a turbocharged 3.0-liter six-cylinder engine. A turbocharged 4.4-liter V8 is available in X5 xDrive50i model with awesome acceleration while some models are available in turbodiesel X5 xDrive35d. Available in four trims and could seat seven, the EPA estimate of 2014 BMW X5 stands at 19/27 mpg city/highway while the turbodiesel model gets 23/31 mpg city/highway. Some of the standard features include a panoramic moonroof, navigation, BMW’s iDrive infotainment system, leatherette upholstery, etc. 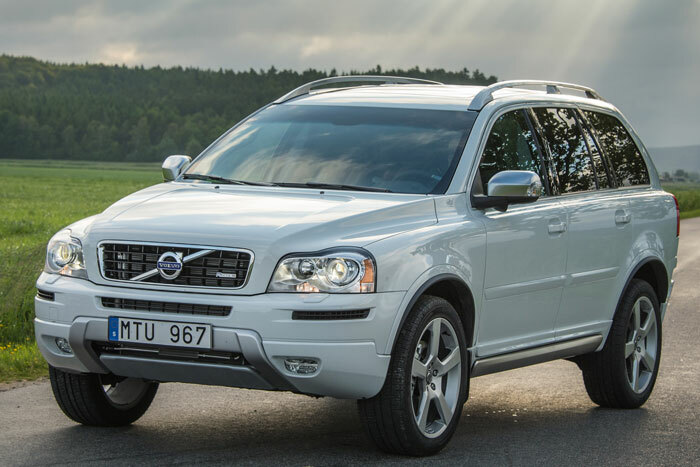 2014 Volvo XC90 is reputed for its supportive and comfortable seats, good safety score and upscale interior finish and fit, though comes with an underpowered engine, confusing navigation system and small cargo space. It comes with a 3.2 six-cylinder engine, six-speed automatic transmission and a standard front-wheel drive and optional all-wheel drive. Its gets EPA estimate of 16/25 mpg city/highway and comes standard with leather seats, eight-speaker stereo, satellite radio, Bluetooth, rear parking sensors, and dual-zone automatic climate control. 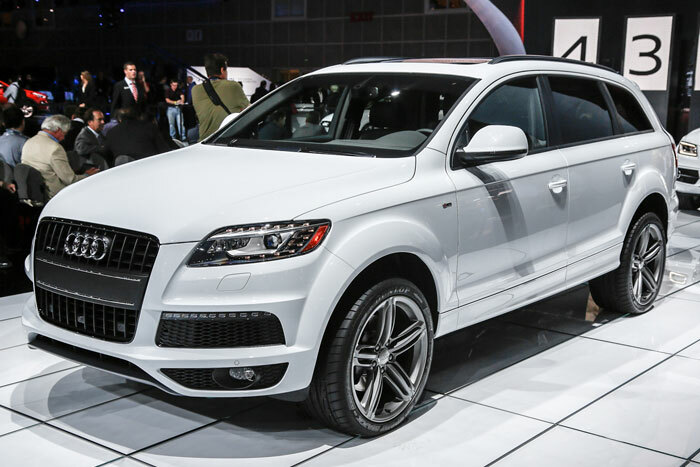 2014 Audi Q7 is loved for its high-quality and upscale interior, cramped third row and limited cargo space. It seats seven and has standard all-wheel drive. It will be powered by a supercharged 3.0-liter V6 engine and standard eight-speed automatic transmission; though a supercharged 3.0-liter V6 and turbocharged 3.0-liter diesel V6 engine are optional. It comes in three trims: premium, premium plus, and prestige. Its EPA estimate stands at 16/22 mpg city/highway while its diesel model is rated at 19/28 mpg city/highway. It comes with rear parking sensors, leather upholstery, heated front seats, dual-zone automatic climate control, etc. 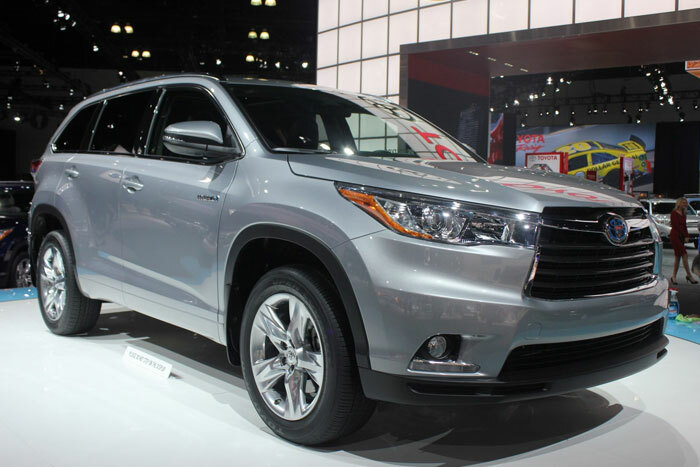 2013 Toyota Highlander Hybrid has ample power and straightforward interior, though marred by dead steering and bad brake feel. Highlander seats seven and comes in base and Limited trims. It’s powered by a V6 engine and two electric motors paired to a continuously variable transmission. On-demand all-wheel drive is standard on models. It achieves 28/28 mpg city/highway and comes standard with a six-speaker stereo with a USB port and Bluetooth. 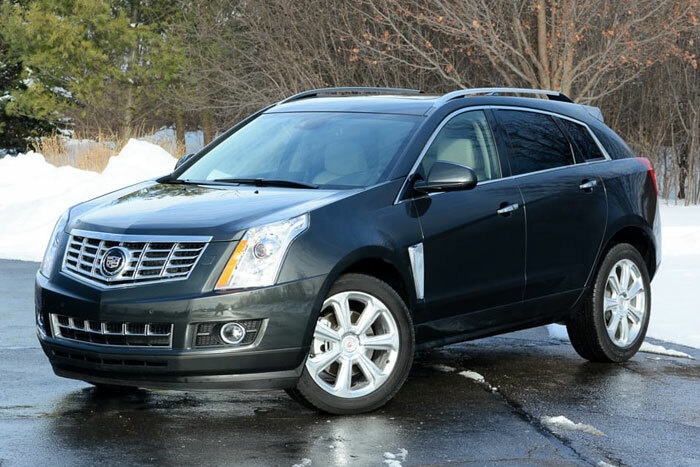 Cadillac SRC offers V-8 and all-wheel drive though it’s more standard with fuel-friendly V-6 and rear-wheel drive. Its stout exterior encompasses three-row and seven-passenger interior. The Cadillac’s 3.6-liter V-6 is capable of delivering 255 horsepower and 254 pound-feet of torque. It accomplishes EPA estimate of 15/22mpg for city/highway. These three SUVs are powered by stellar turbo-diesel 3.0-liter V-6 capable of 215 horsepower and a trailer-tugging 398 pound-feet of torque. They are mated to a seven-speed automatic transmission and all-wheel drive. They all achieve the same EPA estimate of 18/24 fuel-economy figures. GL is marked with a combined 20-mpg rating while others are 21 mpg combined. 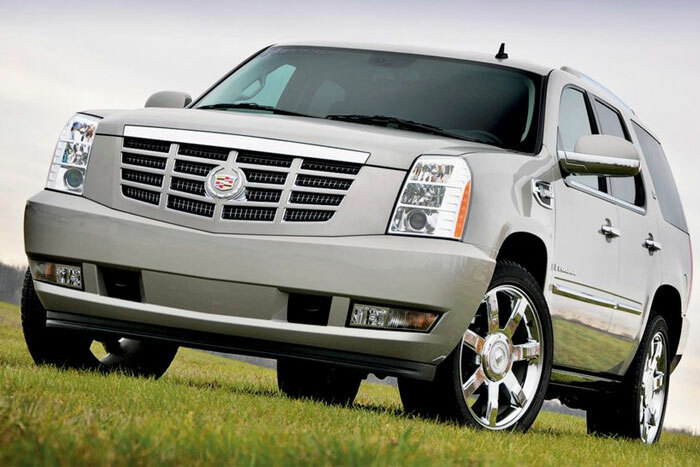 As a full (two-mode) hybrid, Escalade is able to propel its massive 9.0-by-22-inch chromeys on gasoline or electric power or a combination. It remains at 6000 pounds for the two-wheel-drive version and 5700 with all-wheel drive. GM’s engine full-size SUV hybrids come with 6.0-liter V-8 cylinder deactivation and variable intake-valve timing with only 332 horsepower. Escalade features GM’s creative new dual-mode transmission: a CVT-style “Electrically Variable Transmission” for low-load driving plus a four-speed automatic. Infiniti FX45 has blustery performance, nimble handling, and flash styling; though marred by the hard unyielding ride. FX45 is based on sophisticated aluminum independent rear suspension, rigid structure plus a comparatively light 4497-pound curb weight. It’s powered by 315 horsepower version of 4.5-liter Q45 V-8 plus a five-speed automatic transmission with manumatic override. It sprints 60 mph in 6.3 seconds and flats 93 mph in 15 seconds.